If you’ve never had a brined turkey, trust me, you are missing out. And once you try it, you’ll never go back. 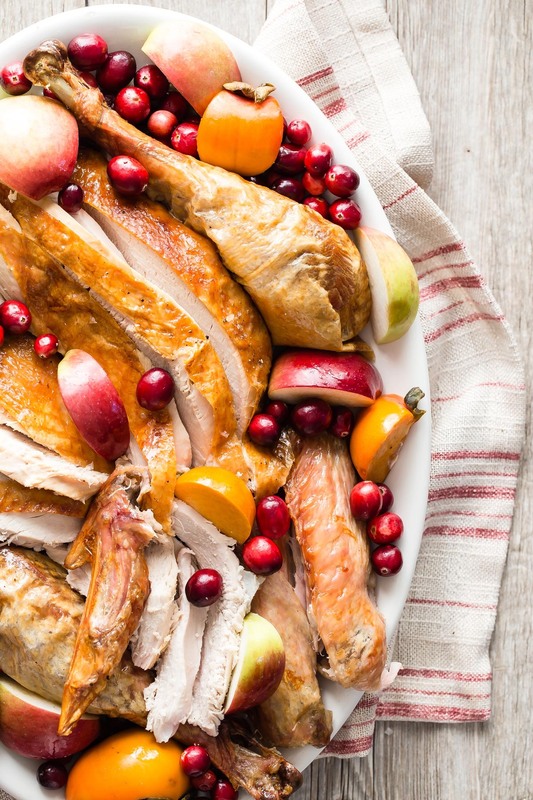 This recipe is the piece de la resistance of our Thanksgivings. I have to say, if I was going to have a last meal, this would be it. When I make a turkey, even if I'm only serving 4 people, I always make one to serve 12. Turkey is the perfect leftover meat because you can keep it in the fridge and turn it into so many other dishes like sandwiches, turkey hash, turkey pot pies and so on. In our house you never have to worry about it going bad because it's all gone before that can even happen. It feeds us all for a week_ lunch, dinner....sometimes even breakfast! I've been brining turkey for several years and I have to say it's THE trick to making a perfect turkey. 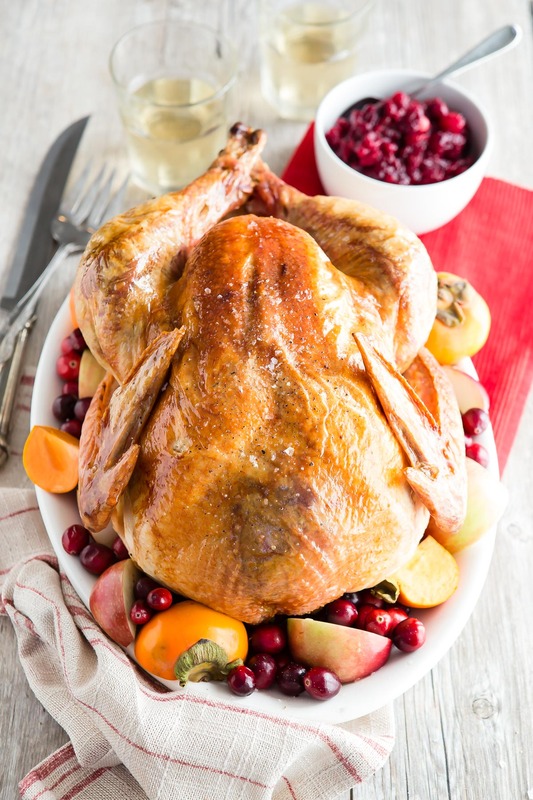 It makes turkey extra juicy and imparts the perfect flavor. I like to use cloves and bay leaves as aromatics in the brine, but you could also toss in some onion, cinnamon stick, apple, celery, or basically any flavors you love. I brought a turkey to our regular "kids dinner party" recently and everyone devoured it. At the same time, though, most of the mother's were saying "I couldn't EVER roast a turkey". Don't be intimidated, it's really easy. After making the brine and placing it in a large pot with the turkey, I cover it and leave it outside overnight. Yep, outside and overnight. First of all, I don't know anyone with a refrigerator large enough to hold a gigantic pot and second, it's usually 55 degrees or lower in most of the U.S. this time of year, so it's the perfect temperature to brine — certainly as good as your fridge, if not better. Besides the cooking time, this recipe is reasonably economical, super easy and everyone in the family will love it! Even the tiniest members. 1. Place the sugar and salt in 4 cups of hot water. Stir until the sugar and salt to dissolve. 2. Place the brine in a large stock pot with a gallon of cold water, cloves and bay leaves and a handful of ice to make sure the water is cold. Stir to combine. 3. Wash the turkey inside and out and place breast side down in the stockpot with brine (you want the water to just cover the turkey). 4. Refrigerate 18-24 hours (or set it in a cool safe place outside as long as it’s below 55 degrees outside). 5. Preheat the oven to 450 degrees. 6. 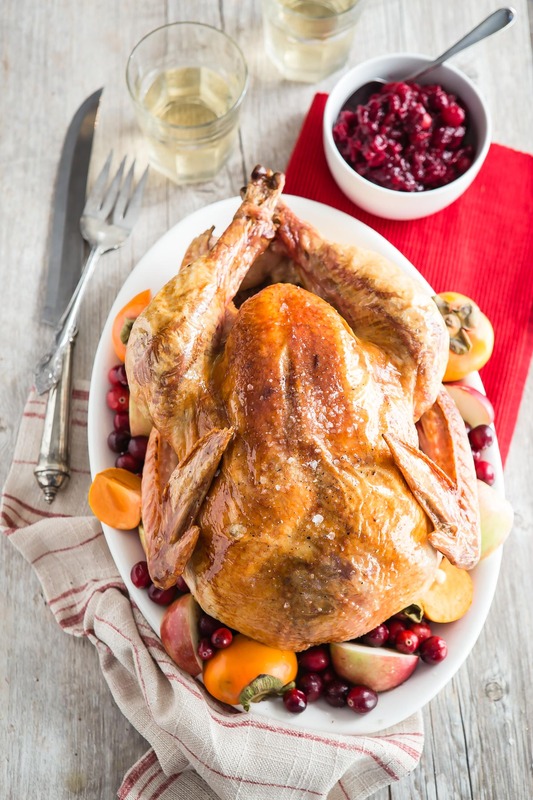 Take the turkey out of the brine and rinse inside and out with cold water, discarding brine. 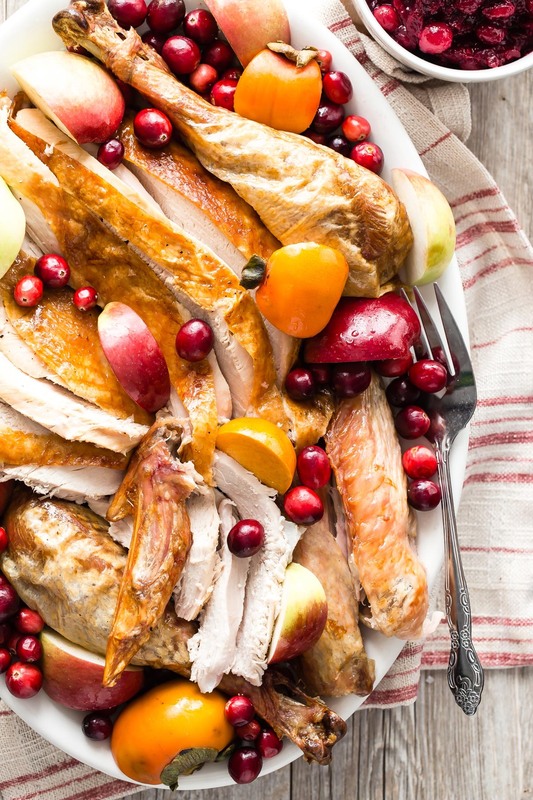 blot the turkey with a paper towel. 8. Tuck back the wings and rub the skin of the turkey with the oil. 9. Roast on the lowest rack of the oven for 30 minutes and then place a piece of foil just over the breast of the turkey to cover (the breast cooks faster then the legs and wings so this process helps it to cook more evenly). 10. Pour 1 cup of water in the pan, reduce temperature to 350 degrees and continue to roast 1 hour. 11. Remove the foil from the breast and cook another 15-30 minutes. Insert a meat thermometer into the deepest part of the thigh (avoiding the bone) to reach a temperature of 160-165 degrees. The turkey will actually continue to cook a little even after you take it out of the oven (the total cooking time in the oven will be 1 hour 45 minutes-2 hours total). 12. 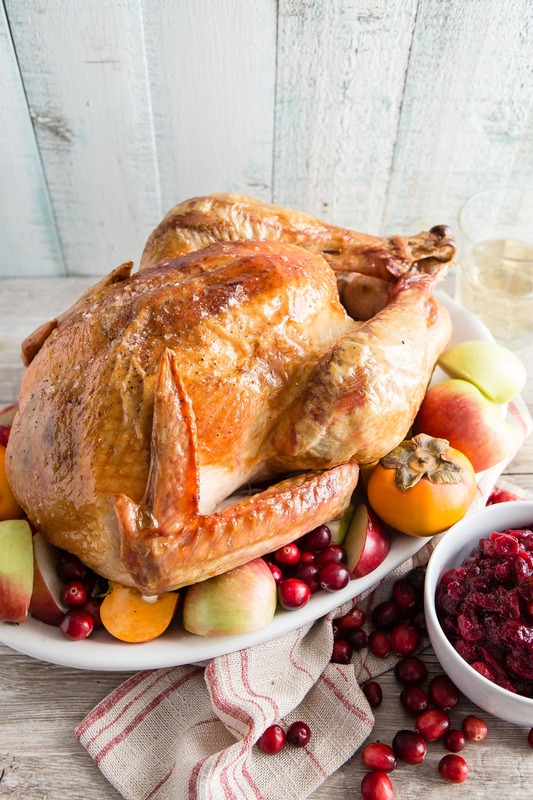 Let the turkey rest for 20-30 minutes (this is an essential step to allow the juices to redistribute and settle). 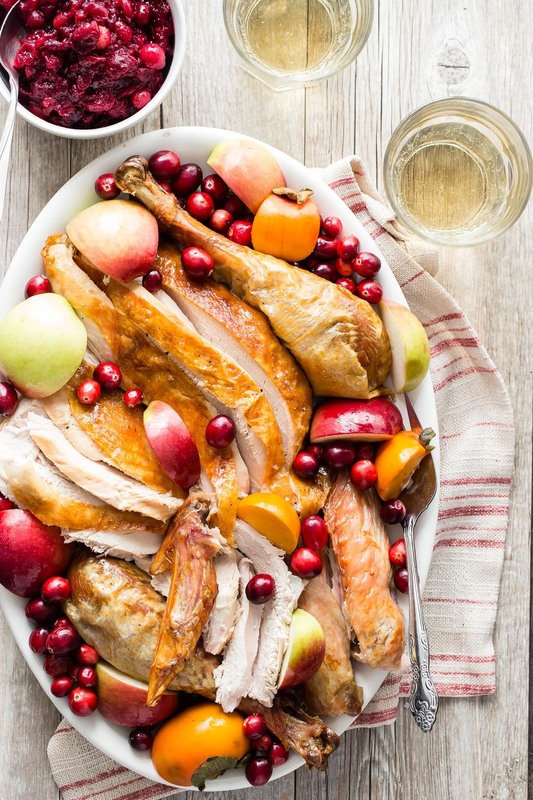 Would the brining process work the same way with just a turkey breast? 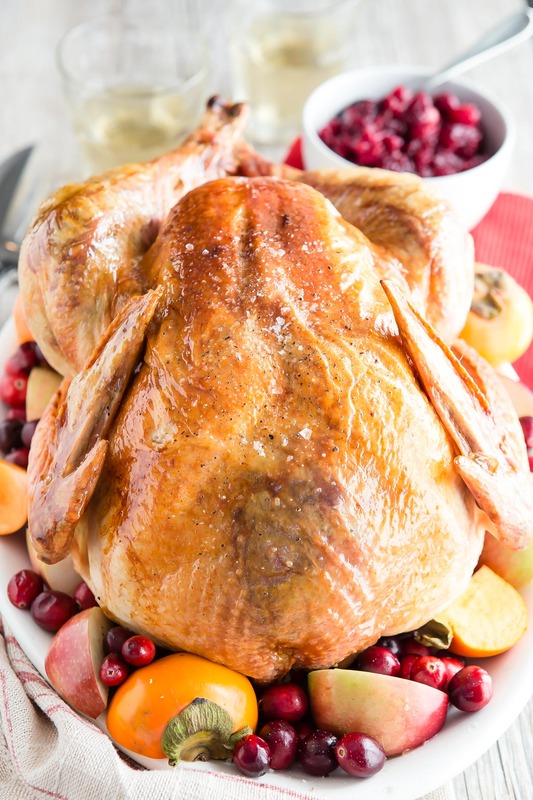 If you have a 24 lb turkey, is it the same amount of salt, sugar, cloves &amp; bay leaves? For a turkey that big, I would add an extra half cup of sugar and salt and some extra cloves and bay leaves. can regular salt be used if i don't have kosher? i just want to know before i make a store run. also, if i have an 8lb turkey, do i have to let it sit for 24hrs? there's only 3 of us, so we didn't do anything big. Thank you for the good writeup. It in fact was once a leisure account it. Glance advanced to far delivered agreeable from you! By the way, how could we communicate? Beautiful landscapes. I rellay enjoy your work very much. And I also enjoyed reading about your day to day life and frustrations. I have a full time job and do my art and find it rellay hard to balance but I do manage to get things done because I'm selfish with my time and just keep keepin on . It would be fun to take a workshop from you I think. It is soaking something (usually meat) in a flavorful liquid for a period of time, usually longer than four hours! Okay, seriously. Could a child get any cuter? Make sure there is always ice in the bucket! If you have a mixture of ice and water, the ice will keep everything at a cooler temperature! I am huge fan of brining. We always do this every year and throwing in chopped celery, onions and carrots help too. How long would you cook a 18-20 lb. Turkey? 2 hours doesn't seem like enough. Did anyone figure out the times for a bigger turkey? 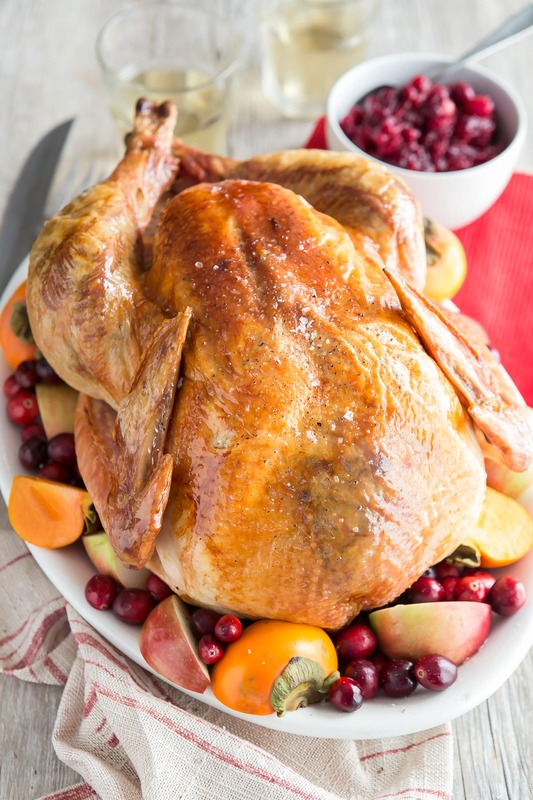 The rule of thumb is 1 1/2 - 2 hours total cooking time for a 9-18 pound bird, 2 - 3 hours for a 18-22 pound bird, and 3-4 hours for a 22-24 pound bird following the heating guidelines in this recipe. Make sure a thermometer inserted into the thigh reaches 160-165 Degrees F! I would love to try this. For an 18 pound turkey how do I increase cooking time and ingredients?? 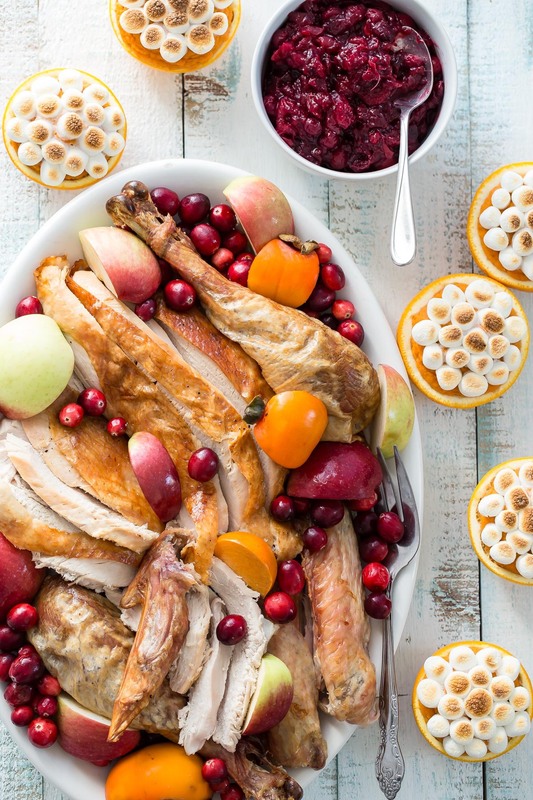 I've never had a chance to make my own turkey, but when I do, I will definitely be brining! I made this last year and it was the best turkey many of my family and friends had had. It was my first turkey, so I was pretty impressed with myself! One word of caution to any other rookies out there. It may be obvious to the experts, but clearly wasn't to me. DO NOT make gravy from the roasting pan of a brined turkey!!! WAY TOO salty!!! I was hoping to make gravy with the drippings- Karen below said you can't with a brined turkey- Do you make gravy with yours? Guys, Please be careful with the cook times listed here, they seem really off. I usually roast a six pound chicken for 1.5 hours and my 15-pound turkey gets about 3.5 hours. Google it, allrecipes and epicurious both have more accurate guides. I just don't want anyone to get sick. We tried this yesterday and both my husband and I think it was the best turkey we have ever had!! VERY GOOD!! Not sure if I missed this or not but I just found out if your turkey says \"basted\" on the package it is basically brined already. I just put mine in this brine solution a couple hours ago so I guess I better rinse it and make it as usual. Would be helpful to clarify this in recipe if it isn't already in there. Thanks! !